There is a role for a TMA-focused discussion forum, not currently performed by any existing transportation organization. That role includes developing regional consensus priorities for the TMA, especially in the allocation of federal & state funds. The group will focus on major cross-county transportation markets and traffic movements, and on helping the Tampa Bay metropolitan area speak with one voice in discussions of regional transportation prioritization issues and financial resources. 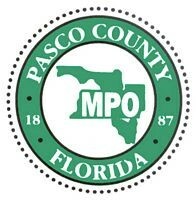 The leadership will comprise three members of each MPO board as members, and include advisors from FDOT, TBARTA, TBRPC, PSTA and HART. Recommendations will be by consensus. The staff support group will comprise staff of these agencies, transit agencies and the Tampa Bay Regional Planning Council, the latter as needed. Meetings of the Tampa Bay TMA Leadership Group will be held approximately every other month. Meetings of the TMA staff support group will be held by conference call. Each group will have a notification list by mail or e-mail, and interested parties may request to their MPO to be notified of meetings.